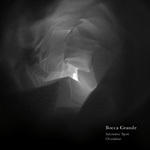 Order Xanax From China Bocca Grande’s EP for Mathematics Recordings last year stood out with its unique piano solos, but the compositions were too reminiscent of show tunes for me. Yuka Kobayashi’s new record for Four Roses, however, really hits the spot, adding a much-needed dose of darkness. “Intensive Spot” combines eery piano runs with powerful bass and IDM-like beats. Weird voices and knocking noises evoke the image of a mad scientist locked away in a subterranean lab. “Overdose” chops up a piano solo measure by measure, cutting off mid-sustain to let the heavy beat pulse. The 3/4 time signature is occasionally broken by 4/4 before switching over completely. As if that weren’t enough, a robotic voice chimes in with refrains of “overdose” and “set me free.” It’s one of those rare pieces which is simultaneously melancholy and uplifting. Like all great music, this single defies easy categorization, but it seems like perfect home or iPod listening to me.